According to the Northern Illinois MLS the median sales price in Downers Grove in the twelve months ending November 28, 2008 for detached homes was $375,000.00 with 204 days on the market, with 351 sales. Median prices have decreased -7.86% , sales volume has decreased -18.18% and marketing times have increased +43.66% over the previous twelve months. In the twelve months ending November 28, 2007 the median for a detached home was $407,000.00 with 142 days on the market, with 429 sales. 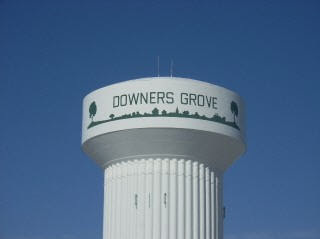 There are currently 416 active listings of detached homes in Downers Grove. At the current level of absorption of 14.22 sales per month this represents a 29.25 month supply of inventory. This is an oversupply. Housing prices are expected to continue declining until this inventory of surplus homes (excess supply) is reduced to more typical levels.